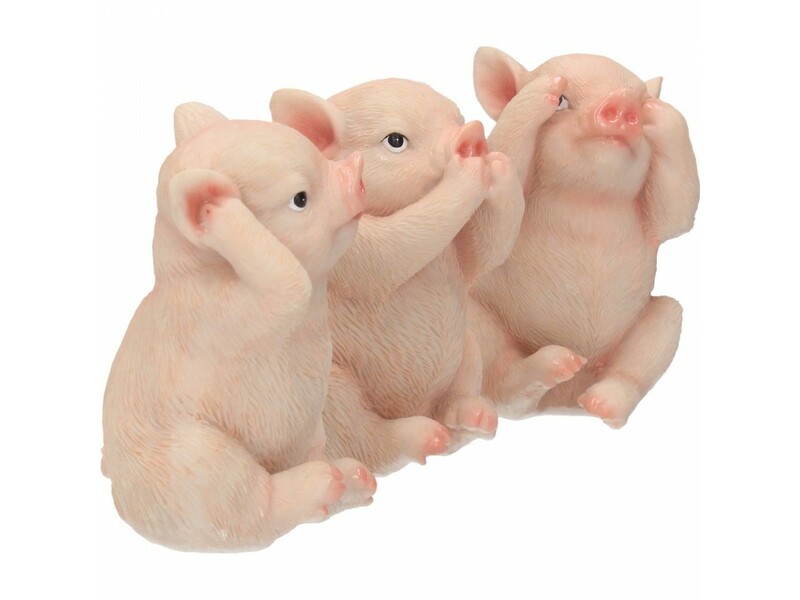 3 wise pigs representing see no evil, hear no evil, speak no evil. 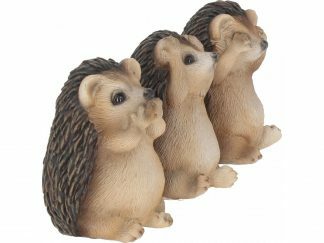 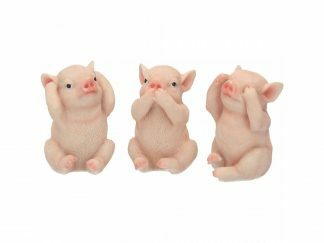 A delightful set of 3 wise pigs depicting the saying See No Evil, Hear No Evil, Speak No Evil. The 3 pigs are a beautiful reproduction of the real thing sitting with their little front trotters covering their eyes, ears and mouth. 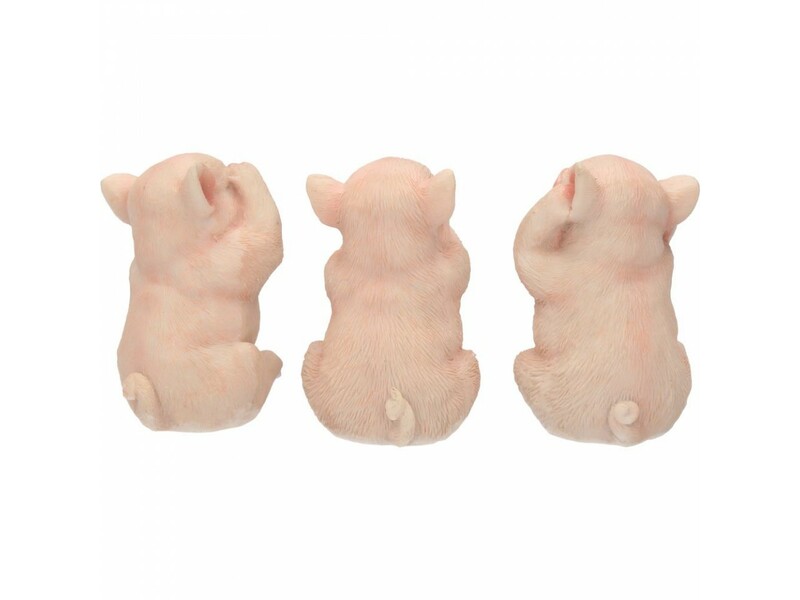 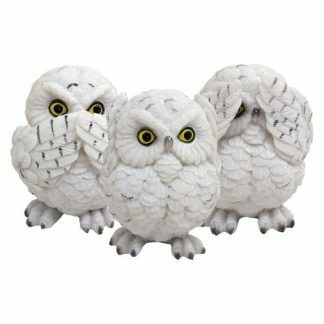 They have cute little curly tails and piggish grins.